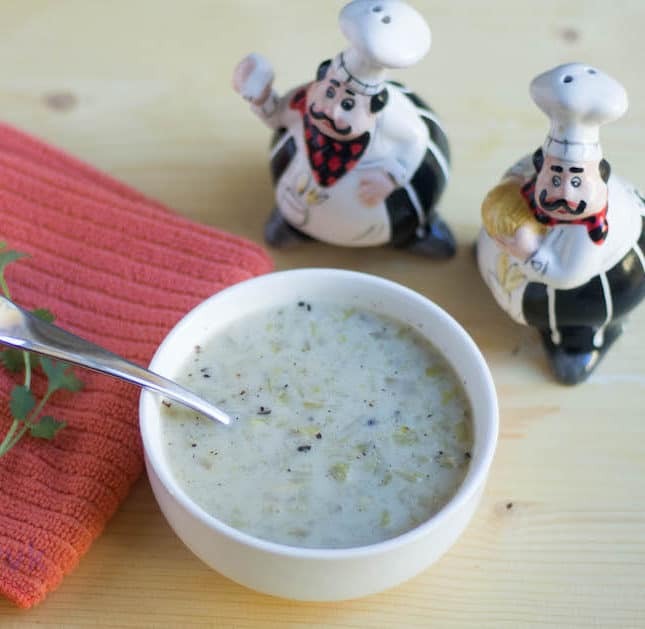 Cream of Celery Soup – A chunky and creamy soup with the sneaked-in goodness of celery prepared in the crockpot. Check out the video recipe and how to cook this soup in the pressure cooker and also other variations below. 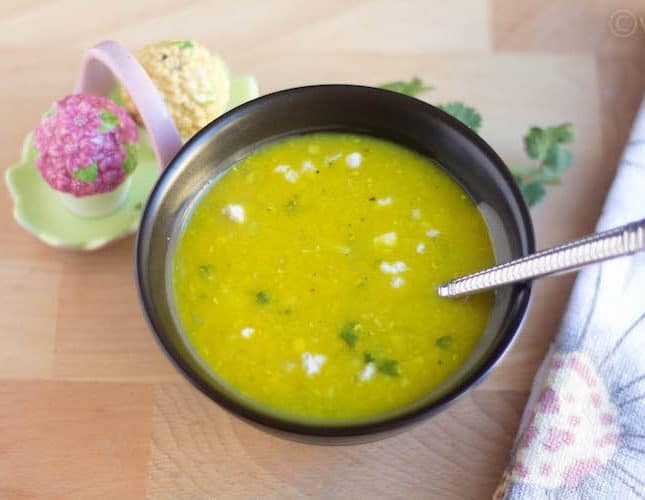 Shorbat Adas – A bright yellow colored Middle Eastern lentil soup prepared with red lentils with the flavors of cumin, garlic, and cilantro. This soup has different names such as adis soup, shorba, Arabic lentil soup, and shorbet adas. 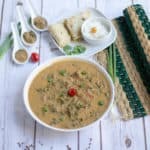 Check out the detailed video recipe and the instructions below to prepare this soup in instant pot as well as in the pressure cooker. Soya Thongba – A Manipuri special mild curry prepared with soy chunks, potatoes, and green peas. 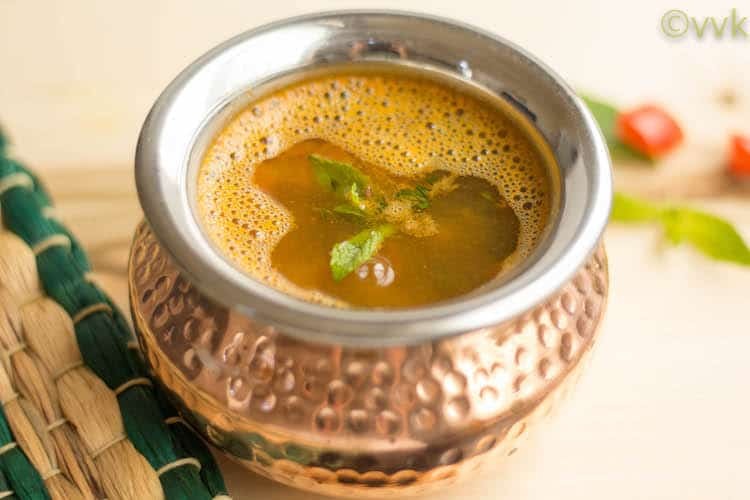 This milk-based gravy requires only minimal spices and goes well with rice, roti, and poori. (My personal favorite is with naan). Check out how to prepare this simple Manipuri dish on instant pot and also in the traditional stove top method. Don’t miss the short video that explains how to make this dish in the instant pot. 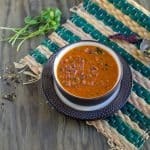 Rajma Gogji / Razma Shalgam – a special winter recipe from the land of Kashmir prepared with Kashmiri red kidney beans and turnip. This vibrant and delicious gravy with the flavors of Kashmiri masala, pairs well with rice. 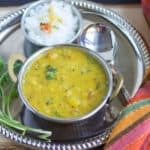 Check out how to make this simple no onion no garlic, vegan curry in the Instant Pot and Pressure Cooker. 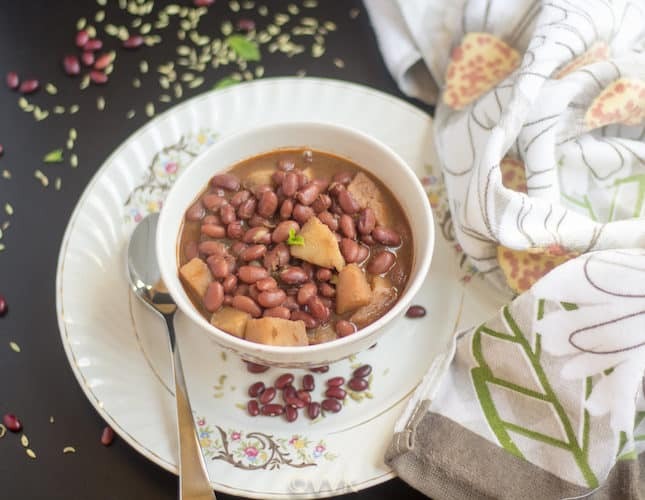 Kwati – a nutritious and a flavorful mixed bean stew perfect during any season. Yes, that’s what I am going to share today, a Sikkim /Nepam fame recipe. 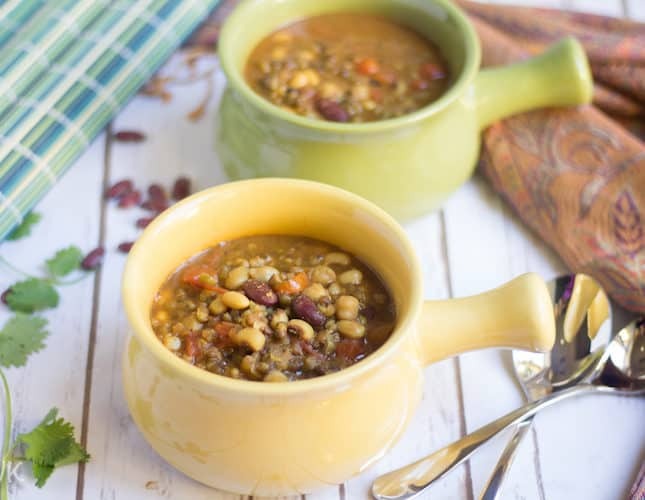 You can make this seven bean soup/stew well ahead for your work week or party/potluck. Here is quick instant pot version of the same with video instructions. 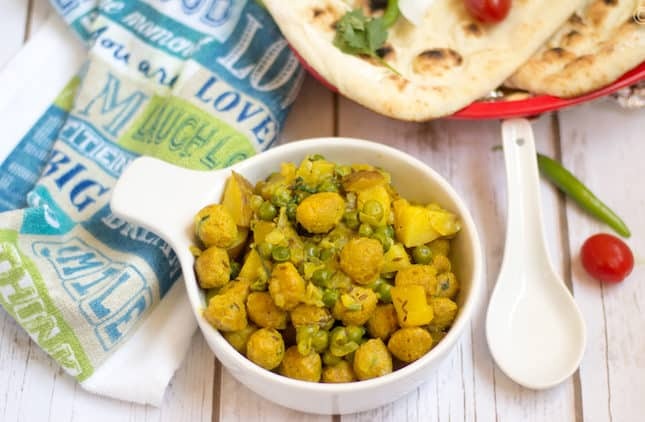 Chickpeas aka garbanzo beans aka channa aka kondakadalai aka known as Egyptian pea is one of the favorite legumes that is used nearly all the world cuisines. It’s a versatile legume, and it can be added in any stew or curry or salad or spread/hummus. 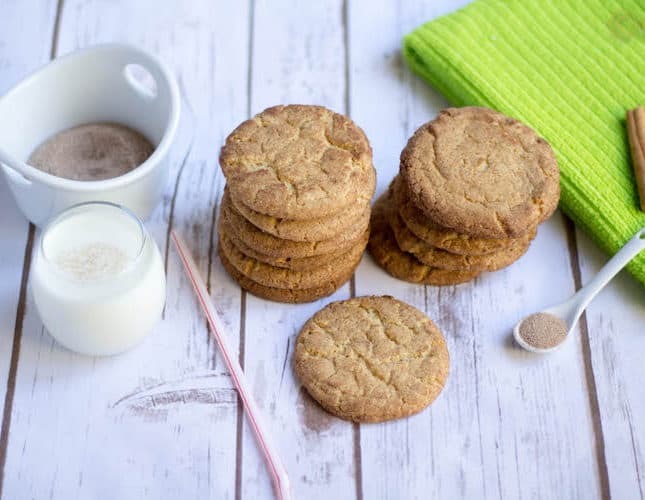 Today I am going to break the vegan rule and share a yummy and creamy yogurt based recipe with chick peas. 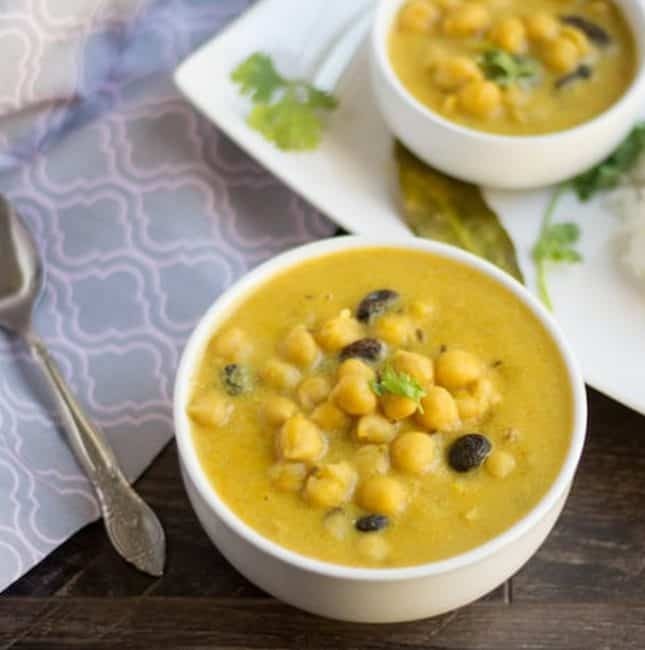 It is the Channa Madra – A Himachali / Pahari Cuisine special – a no onion no garlic recipe prepared with Chickpeas simmered in creamy & thick yogurt gravy. Check out the detailed recipe and a short video recipe of the same. Porridge or kanchi or Kanji is one of quintessential family breakfast. 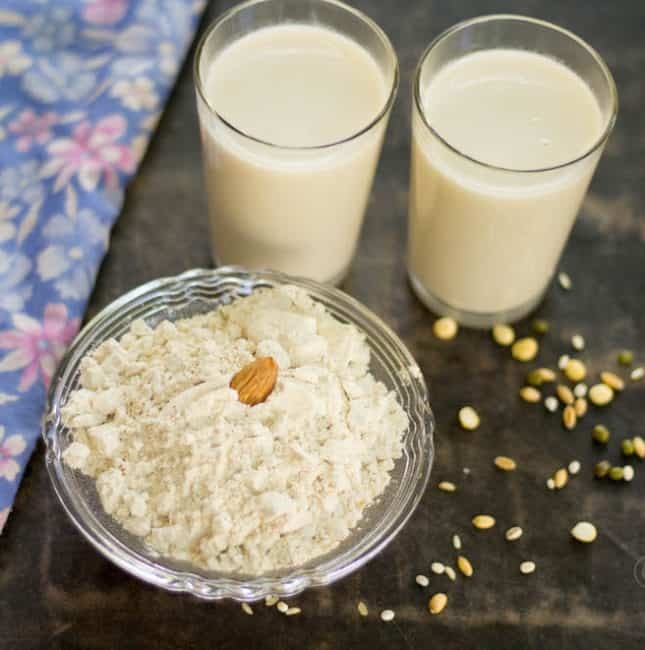 Be it salt ones like kambu koozh or a sweet one like ragi or oats porridge; we love it all. Today I am going to share a diabetic friendly healthy mix or sathu maavu kanchi powder prepared with just five ingredients. 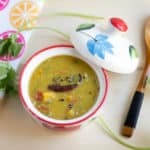 With the goodness of barley, green moong dal, whole wheat, boiled rice and roasted gram dal, this kanchi maavu is sure a healthy and fiber-rich breakfast option. Doughnuts / Donuts are one of the simple breakfasts that you can find in all the breakfast joints. There are countless donut varieties with yummylicious toppings. 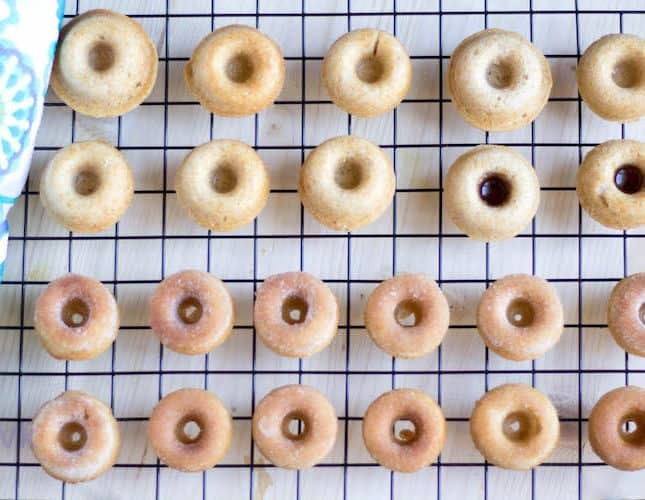 But instead of fried donuts how to baked donuts without any yeast and eggs? Sounds great huh? I can assure you that it tastes great too. Today I am sharing two types of baked donuts – One with butter cinnamon sugar topping and the other one with maple syrup topping. 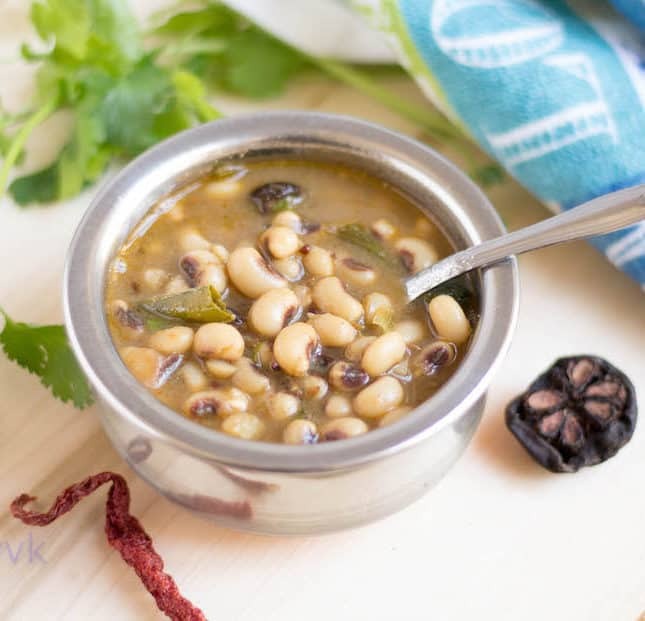 Before getting into the Thali spread, here is yet another Gujarati delicacy prepared with my favorite beans – Black-eyed peas or cowpeas or Lobia (Hindi). 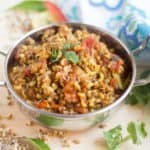 I love this legume so much so that, I always prepare pitlai with this instead of chickpeas and that’s what I posted on my blog too. When I saw that Lobia curry is quite common in Gujarati thali spread, I didn’t even think twice and made up my mind to prepare it. I did prepare, and here I am sharing the same with you all. 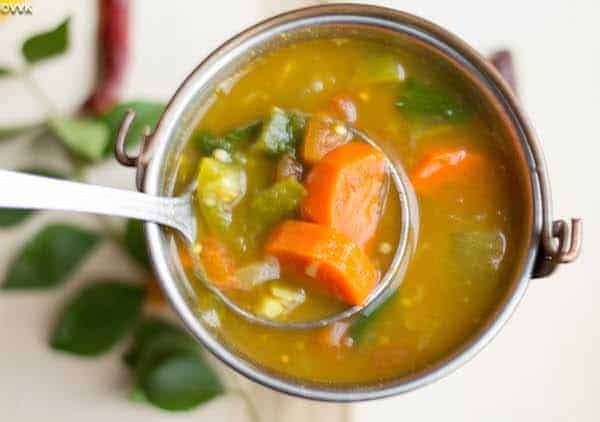 Here comes my next instant pot recipe – Mixed vegetable sambar – A simple Tamil Nadu style mixed vegetable sambar prepared in Instant Pot. 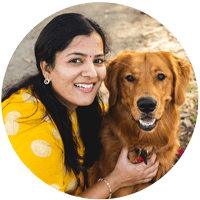 After the kheer, I slowly started to experiment with a different recipe in my instant pot, especially the day to day recipes like sambar, kootu, poriyal, and rasam. Guess what, all my experiments were successful. 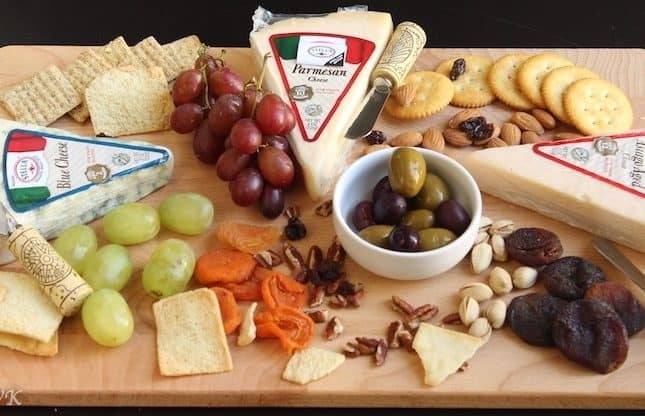 I just love this kitchen gadget. It’s worth the money…. I have mentioned this many times – I love fruit based desserts. I enjoy and like the natural flavor that it adds to the dessert. So today’s recipe is a fruit based recipe and it’s the egg-less persimmon bundt cake. With the subtle cinnamon spice flavor, this cake is perfect for this holiday season. 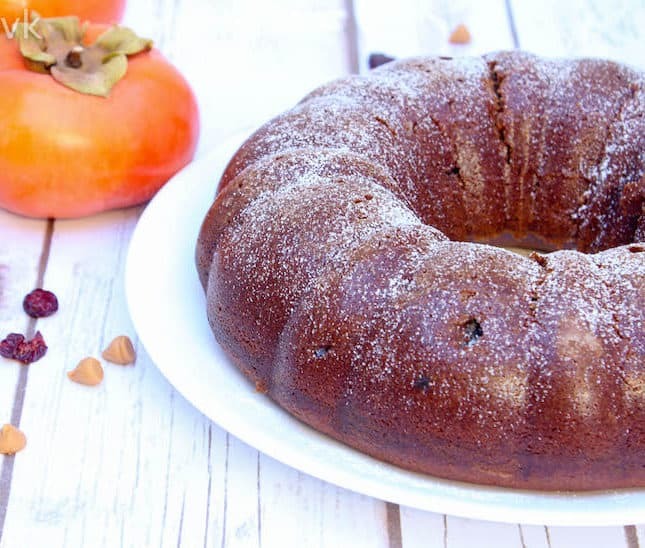 Decor your holiday spread with delicious persimmon bundt cake.